What’s in Donald Trump Jr.’s emails about Russian meddling? Donald Trump Jr. tweeted images of emails regarding his 2016 meeting with a Russian lawyer on Tuesday. 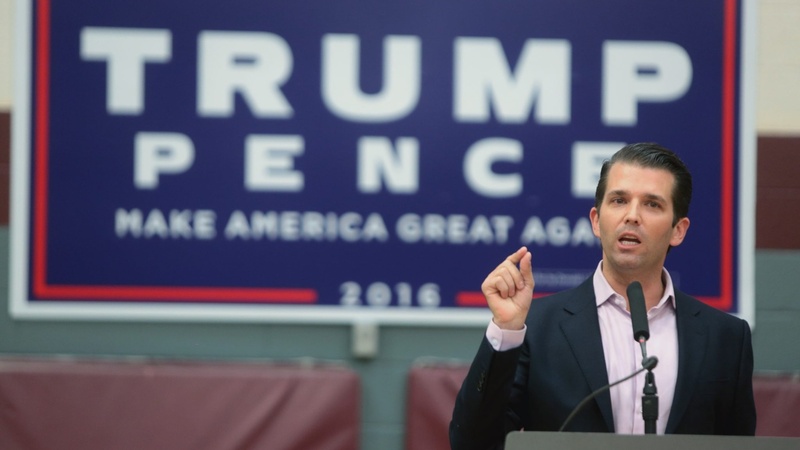 An intermediary said he could connect Trump Jr. with people who had information “that would incriminate Hillary [Clinton]… and would be very useful to your father.” Trump Jr. agreed to the meeting, which former campaign chairman Paul Manafort and Trump son-in-law and adviser Jared Kushner also attended in June 2016. They met with Russian attorney Natalia Veselnitskaya, whom Trump Jr. said ultimately did not provide the promised material on Clinton. In the emails, Trump Jr. corresponds with publicist Rob Goldstone, who represents the son of an Azerbaijan-born billionaire who has also done business with the Trumps. Trump Jr. forwarded the thread to Kushner and Manafort. Here, the text appears in chronological order; headers were added by NPR. See the text as tweeted here, combined into one pdf. NPR journalists have annotated the text below with context and analysis.